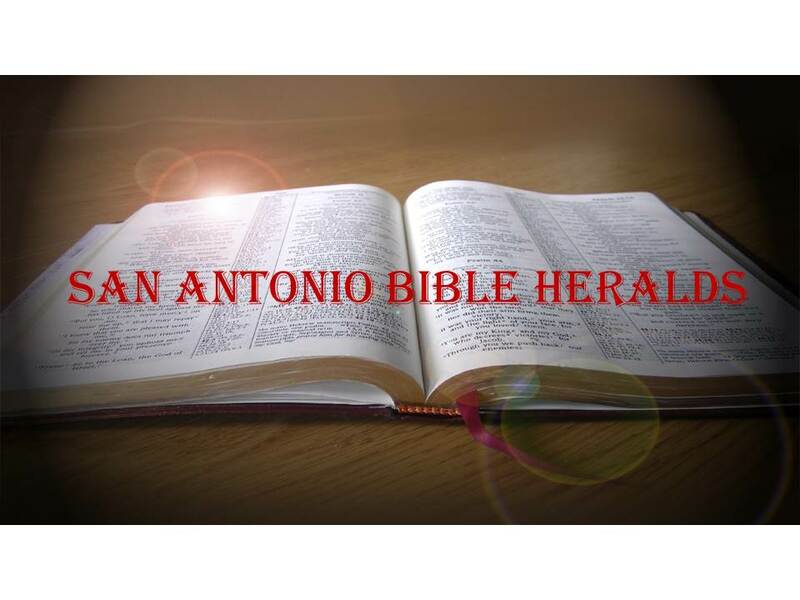 San Antonio Bible Heralds: Evangelism Methodology: What’s the best way to evangelize? Evangelism Methodology: What’s the best way to evangelize? You see them often around the neighborhood and they have likely knocked on your door and left you some literature at time or two. They are the Jehovah’s Witnesses Publishers and the Mormon “elders.” They are in the forefront of what used to be referred to as door knocking and they have made great inroads into the evangelistic world with that tactic. There are many who tell us that such methodology is ineffective for our post-modern world. Relationships, they tell us, are much more effective today than going door to door offering folks the opportunity to study the Bible. Others are of the mindset that bringing people to the church is the most effective way to "get them converted." The local church has become the end all and be all of evangelism and anything else that Christians want to do. We have “outsourced” our evangelism to, not only the leaders of the church and foreign missionaries, but to the collective body rather than to each individual. It is important to bear in mind that God will use our strengths as he works through us to accomplish his will. But it is also important to underline the fact that we can overcome our weaknesses and rise above our limitations to become more effective in our mission. Many of us (I include myself in this category) are rather introverted and like to keep quiet and to ourselves. We will never be the first person out there speaking and leading the charge. Others are much more gregarious and outspoken. They are, usually, the leader types who thrive on being at the forefront and who perform better when asked to lead. That being said, however, we all can work in the kingdom to one extent or another. Since the great commission (see Matthew 28:18-20) extends to all of us, we all have a responsibility to carry and proclaim the message wherever we are. Some of us will be more effective in a personal, one on one situation where relationships can be built and sustained. Others love to be out there meeting new people and proclaiming the message to as many as possible. And then you’ll have those who will stand in a corner and preach a message at the drop of a hat and with little prodding. Where you fall along that line is less important than the fact that you are willing to take the message to those who need it. Few, if any of us, will ever attain the reach and the effectiveness in soul winning that the apostles, especially Paul, achieved. But just because we will not assist in the conversion of thousands does not mean we do not do our part in the work of God. Remember that, in the final analysis, it is God who gives the increase (I Corinthians 3:7). If we go through life being faithful to our God and proclaiming the message, but only one person becomes a Christian as a result of our work that will be one more person glorifying God throughout eternity. That certainly makes any effort we expend worth it! Does the Bible Teach us to Take up the Sword?